It’s been a long time coming, but it’s finally here. 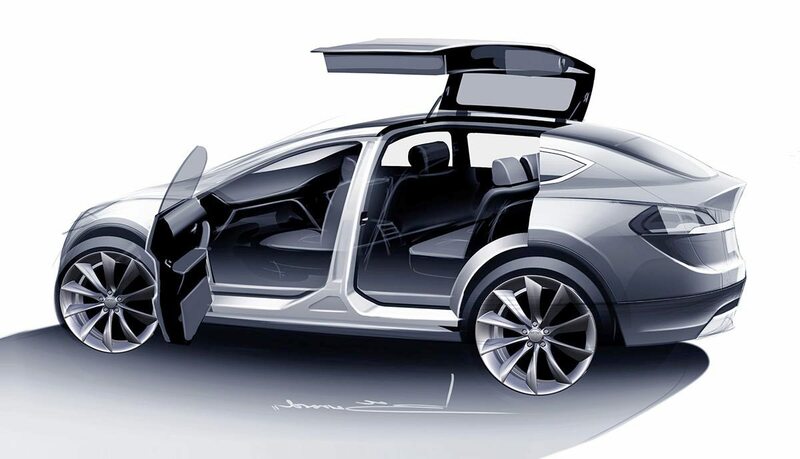 It’s the Tesla Model X, the slightly taller, somewhat more practical follow-up to the Model S. It could have been little more than that — Tesla could have simply given the S a bit of a vertical stretch and called it a day, but the company instead decided to do something a little bit… different, to give the X a signature design element that would set it apart from its fraternal twin. I am of course referring to the pair of “falcon-wing” doors that provide access to the rear seats, craning skyward at the touch of a button. Iconic statement that will earn this car a place in the history of great designs? Or, misguided case of form trumping function? 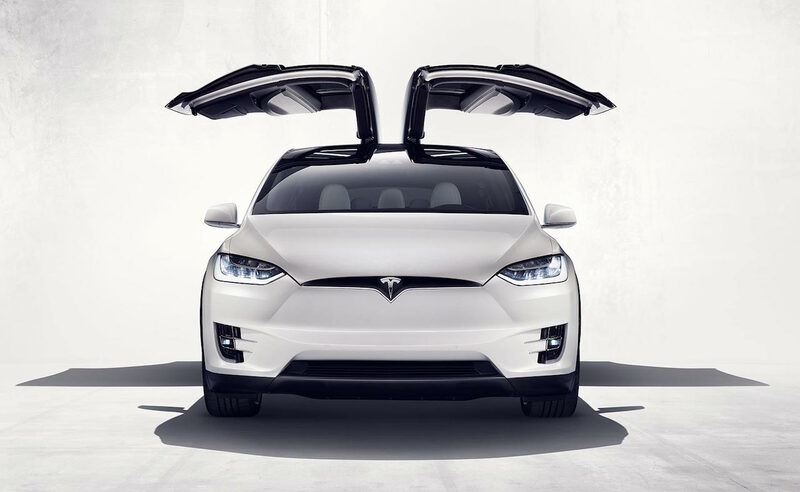 And, just what’s the Model X like to drive compared to the generally excellent Model S? Let’s find out. The idea was a natural one: slightly expand upon the Model S and turn it into the sort of rig perfect for Monday-morning dashes to school or Friday-afternoon cruises to Aspen. As such, the Model X is bigger, offering more than twice the cargo space of the S if you forgo the third row of seats. But you probably shouldn’t, because unlike the novelty way-back area on the Model S, third row seats face forward on the Model X. As such they become genuinely useful, with enough headroom and legroom (just) for a grown adult such as myself to squeeze back there. Second-row seats, meanwhile, have acres of room, while the heated and air-conditioned thrones up front for driver and passenger not only offer the perfect temperature regardless of weather, but deliver a decent amount of support and good comfort, too. In fact, spring for the $1,000 “Subzero” package and all of the seats in the Model X can be heated at the touch of the button, even the middle one in the second row. This is a nice way to pamper your passengers — or surprise them with a warm bottom if you’re the practical joking type. What hasn’t changed is the massive, 17-inch LCD in the center of the car’s dashboard, something carried over from the Model S. It’s still powered by the same Tegra 3 processor, which delivers reasonably clean visuals but struggles at times to keep up with your finger presses. Bring on Tegra X1, please. That display will split opinions, just like it did years ago when we first saw it on the S. I personally love the size, but not the glare, and I dearly wish it had support for Android Auto and Apple’s CarPlay. Regardless, integrated LTE connectivity certainly is nice, making it easy to monitor your car’s charging status from anywhere via Tesla’s smartphone app, an app that offers some other pretty compelling features, too.